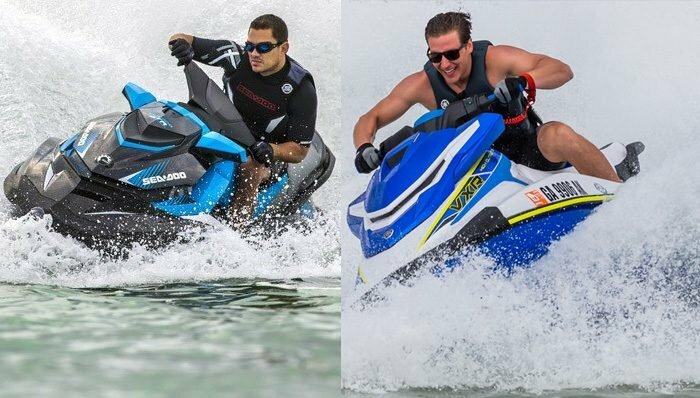 One of the more intriguing match ups for 2014 is the two-seater showdown between Sea-Doo’s RXP-X 260 and Yamaha’s newly tweaked FZR. 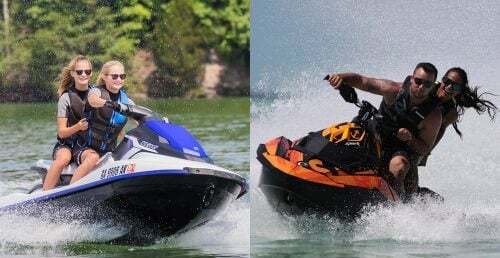 Both are the last remaining two-seaters in their respective lineups, assuming you don’t include Sea-Doo’s new Spark as a competitor to either. 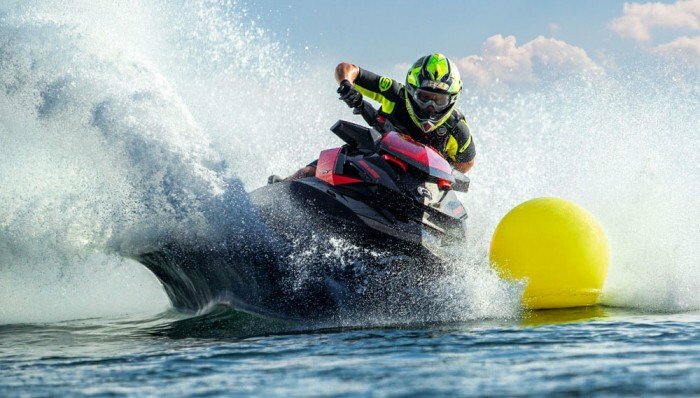 And while Sea-Doo used to arguably hold a clear edge in terms of performance, a new engine for the Yamaha has made both boats now incredibly well matched in terms of acceleration and top speed. Looking for the ultimate in two-passenger musclecraft? 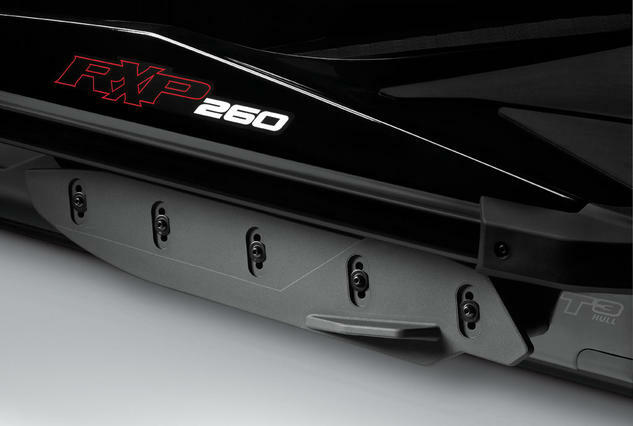 Here are some key points of comparison between Sea-Doo’s RXP-X 260 and Yamaha’s FZR. Yamaha made it clear it was coming after the RXP-X this year, and one of the first things on the checklist was to give the FZR some desperately needed power. That meant retiring the SHO engine that has long powered the craft, and turning to the new Super Vortex High Output (SVHO) shared by the flagship FX model. 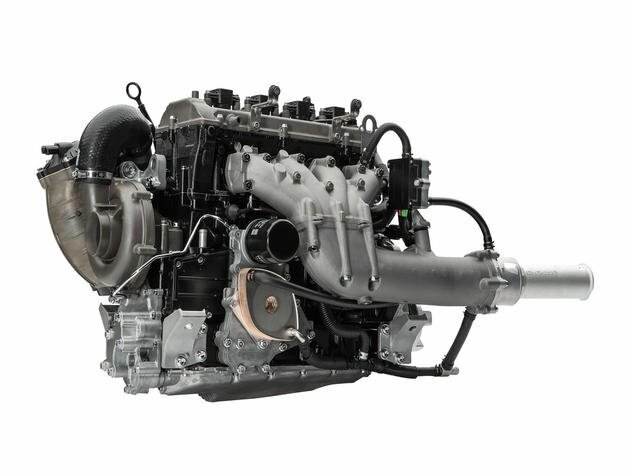 Though both engines share the same 1.8-liter displacement base, the SVHO bumps up horsepower substantially (Yamaha notes the actual number is five-percent more than the RXP-X) by introducing a new supercharger and intercooler, opting for compression-forged pistons, introducing a new, more efficient oil cooler, and increasing injector size. Yamaha gave the FZR a major boost for 2014 with its new SVHO 1.8-liter engine. The pump also gets attention. The 155mm pump has been upgraded to a larger, 160mm, and the exit diameter increased as well. For the first time, the FZR also gets a top-loader scoop grate, in addition to an aftermarket-style extended rideplate. 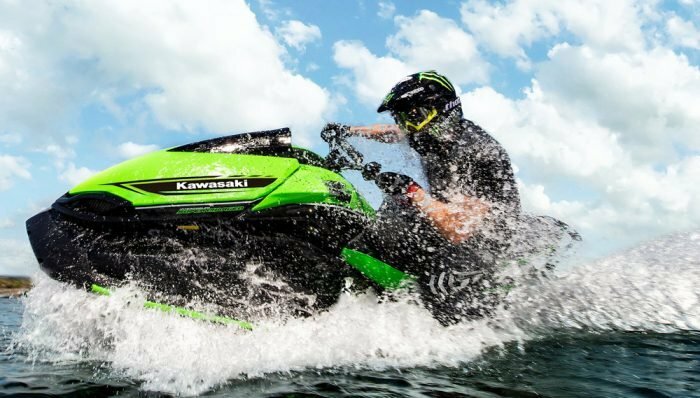 Though the 260 is more of a marketing number than an actual horsepower rating, the Sea-Doo clearly has held the performance edge till now. The RXP-X’s 1,494cc Rotax 4-TEC is also boosted by a supercharger and intercooler combo. 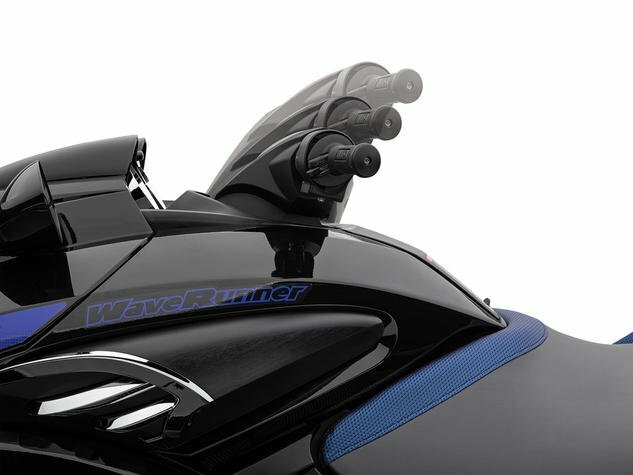 Sea-Doo funnels that power through a 159mm pump, and features aftermarket-style trim tabs. 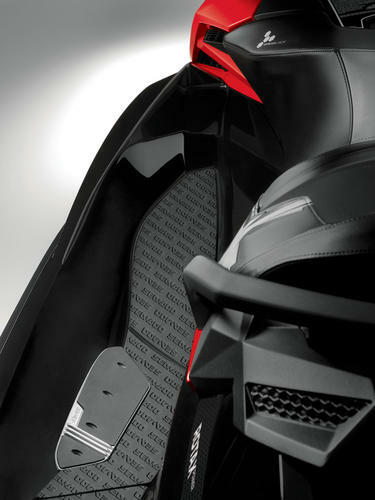 Sea-Doo’s electronic trim tabs allow the user to program settings. So how do the two boats compare in terms of how these components equate to actual speed and acceleration? Yamaha’s horsepower boost is clearly evident, as the FZR now jumps out of the hole with all the force of an aftermarket, Stage 1 upgrade. It hits the 30 mph mark in as little as 1.5 seconds, and easily pegs the magic 65+2 top speed number of 67 mph. In fact, with a light fuel and passenger load, I’ve seen 2014 FZRs push as high as 69 mph. 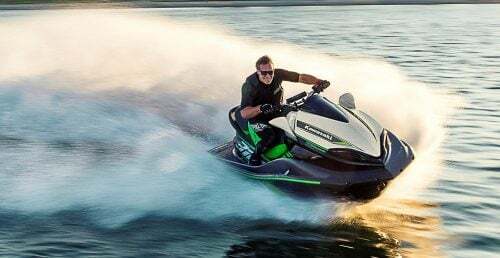 The Sea-Doo follows closely behind, also leaping out of the hole with authority, passing 30 mph in about 1.8 seconds, but electronically limiting its top speed to 67 mph. The FZR goes from 0-30 mph in as little as 1.5 seconds. Clearly both boats are capable of even more performance with the most minor performance upgrades (i.e. a speed control override module for the Sea-Doo), but keep in mind any tinkering will likely void the factory warranty. While speed and acceleration provide an easy means of comparison, I’d argue what truly makes both of these craft so fun to ride is their incredible handling. Both turn harder and more aggressively than almost any other production craft on the market. In fact, they may in fact be the two hardest carving machines you can buy. Both rail around a buoy course with utter precision, and both continue to reward the driver as skill levels improve. One feature that helps produce such nimble handling is a rounded chine on each hull. This softer angle allows both boats to roll into the turn with an intuitive inside lean. The other is sponson design. Both models feature well-designed, aggressive sponsons. 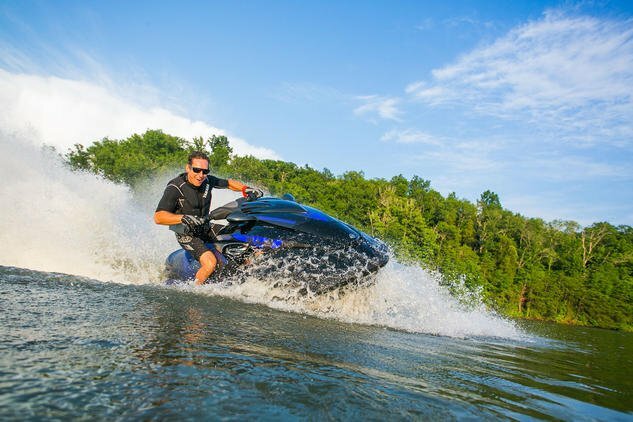 Sea-Doo’s are user-adjustable, meaning the owner can increase or lessen their response to match their goals. The Sea-Doo sponsons also feature a 90-degree winglet, which theoretically give the sponson some bite when the boat is leaned extremely hard over. Adjustable sponsons on the RXP-X 260 can offer more or less response, depending on the user’s goals. Such hard-cornering, powerful machines can take their toll on the rider trying to stay in control above. 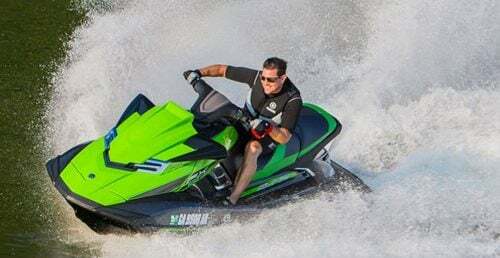 Sea-Doo has attempted to lessen the strain on the upper body by designing an hourglass-like seat that doesn’t push the rider’s thighs so far apart, and in turn allows them to squeeze the saddle between their legs. In addition, protruding bolsters extend out over the top of the thigh to give the driver a more locked-in, secure feeling. A third component, canted footwells, also allow the driver to use his legs to push against the hull for leverage. This three-tiered approach transfers a lot of the strain of a hard corner from the weaker upper body to the much stronger leg muscles. Downside? The fixed position of the bolsters may push taller riders a little farther back in the saddle than they would prefer. An hourglass-shaped seat and canted footwells set the RXP-X 260 cockpit apart. 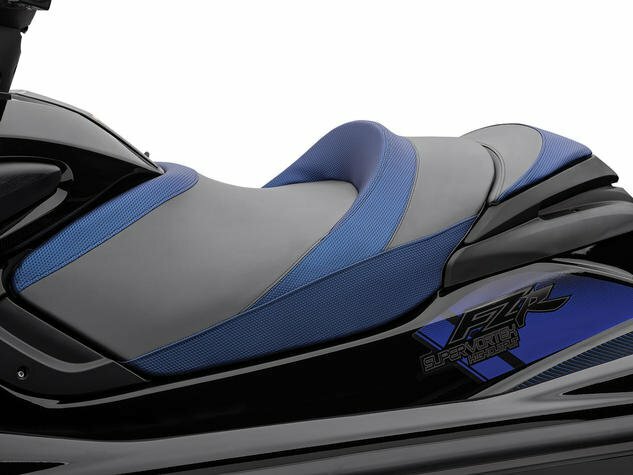 Yamaha’s seat features a supportive bolster to help keep the driver in position, but overall the FZR’s seat and footwells are much more conventional. I’d argue the FZR turns every bit as hard as the RXP-X 260, but staying atop the craft in such extreme corners is more difficult, and places much more stress on the upper body. Many riders may simply not have the upper-body strength to push the boat to its true potential. Yamaha opted for a more conventional seat shape. Both manufacturers offer some unique features. Yamaha gives the FZR a telescoping steering column. It can be kept in the middle position for normal riding, lowered to a dropped setting for a low-to-the-water, aggressive feel, or raised above the norm to eliminate the hunched-over profile that results from standing out of the saddle, like when you’re trying to absorb rough water with your legs. A telescopic steering column allows FZR riders to stand up without having to bend so far over. 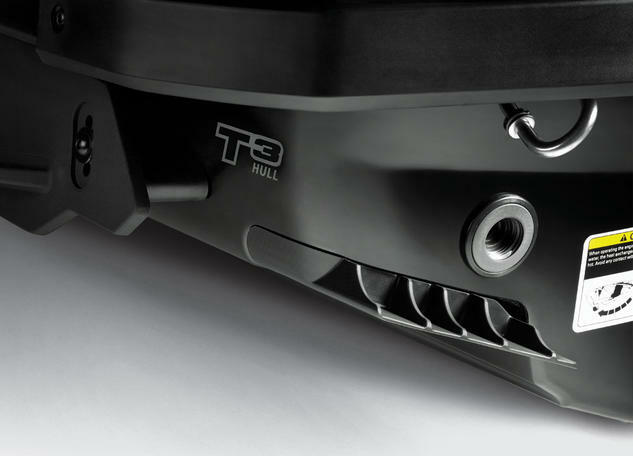 Sea-Doo’s unique feature set includes Intelligent Brake & Reverse, the system that uses a modified reverse bucket to redirect thrust exiting the pump. Controlled by a lever adjacent to the port handlebar grip, it can be used to rapidly slow the craft (brake) when encountering an obstacle, keep the boat relatively stationary at startup or when maneuvering in and around tight areas, or back up, all while keeping the rider’s eyes on the water and both hands on the handlebars. In this way, iBR gives the RXP-X a clear advantage at the dock or launch ramp. 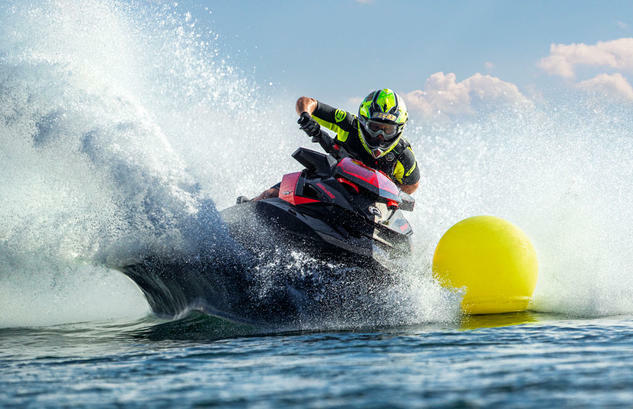 Sea-Doo’s electronic throttle control also allows for dual acceleration profiles, taming the craft for less aggressive riders, or delivering the engine’s full stock potential for the more experienced. Sea-Doo also allows users to adjust the handlebars for angle and width. Sea-Doo’s renowned iBR system gives it a clear advantage near the dock or launch ramp. Other points of comparison? Both offer theft-prevention devices, Yamaha’s solution being a car-like remote, Sea-Doo’s being a digitally encoded lanyard. Both also offer speed governing, Yamaha through that same remote and Sea-Doo through a second encoded lanyard. Both also offer trim, although here again the differences aren’t so subtle. 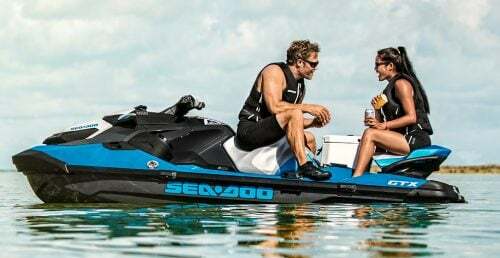 Sea-Doo’s solution is electronic, and features a “double-tap” feature that lets users program in their preferred bow-up and bow-down settings. 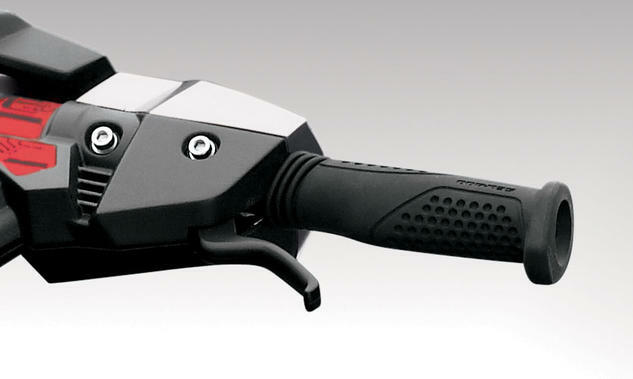 Yamaha’s trim solution is through a manual twist grip on the left handlebar grip, with five set positions. 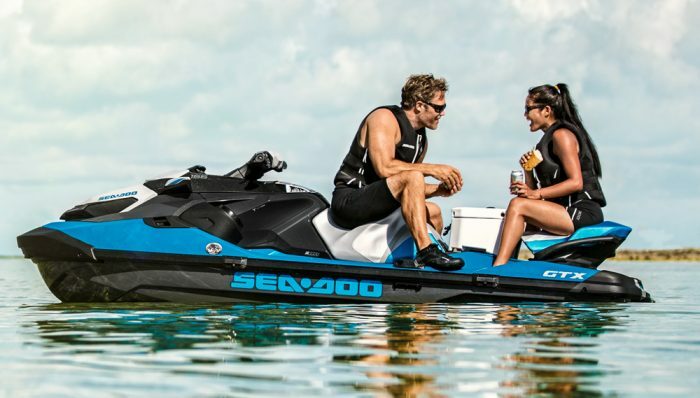 In terms of storage, Sea-Doo offers a 30.8-gallon storage capacity, Yamaha a 21.3 capacity. Thanks to Yamaha adopting a new engine, clearly these two craft are more closely matched than ever before, and either will likely thrill the true, two-seat performance enthusiast. Both feature incredible power and equally incredible handling. The choice between one or the other will likely come down in large part to which boat’s cornering personality best fits your own riding style. 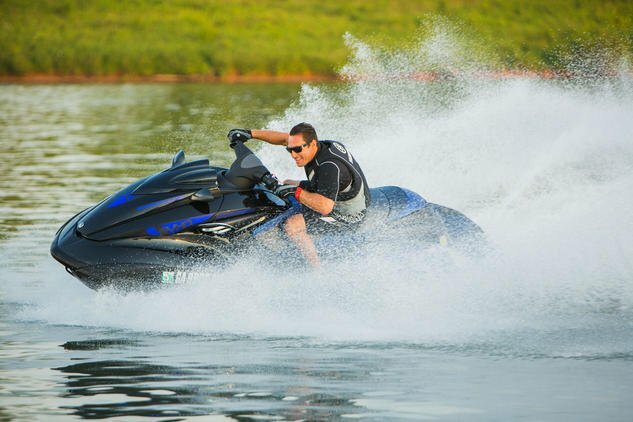 Intelligent Brake and Reverse is a feature we’ve long praised, and clearly gives Sea-Doo an edge in low-speed, close quarters handling. On the flip side, Yamaha’s extended steering column is unique to the FZR, and will be appreciated by those who frequently ride up and out of the saddle in rough water, or like to get low and aggressive in the turns. Price? 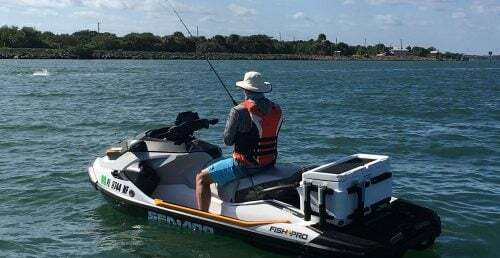 While it used to be a more obvious difference between the models, Yamaha’s performance upgrades have resulted in an almost equal price point for 2014 — Sea-Doo carries a mere $300 premium. In short, Yamaha has tightened up the race, just as it had planned. Now it’s up to the consumer to decide which boat takes their personal checkered flag.